ZE’EV AVIEZER earned a BA degree in Economics from Hunter College, an MS degree in Counseling from Lehman College CUNY and his MA degree in Religious Education from Hebrew Union College’s Institute of Religion. He was granted the only certification as an Adult Educator by Hebrew Union College. 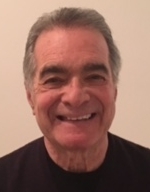 He has taught adult education courses for Westchester Adult Jewish Education, Larchmont Mamaroneck Center for Continuing Education, and Larchmont Temple, where he served as Executive Director for 22 years.